Companies who develop fully automated inbound plans without a human following up may lose out on winning new customers. Digital marketing isn't a silver bullet. 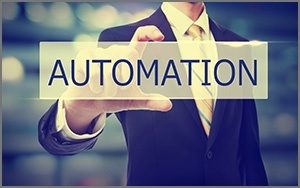 Implementing marketing automation isn't going to change your marketing results overnight. It can do a lot of great things, but it does have limitations. It can't listen and respond to customer feedback, or be the face of your brand. It doesn't have a voice to deliver your elevator pitch. Don't get me wrong. I love marketing automation. It plays a major role in responding to website users. Marketing automation can help companies do very ingenious things with their digital marketing. But marketing automation doesn't have a heartbeat, and that particular human function can't be replicated. I've listed 3 big reasons why your marketing automation needs human follow-up, and have included a section on some best practices when performing follow-up to your inbound marketing responses. Building out smart automated workflows does make the lives of marketers easier. But it also raises some questions. When should I reach out to the prospect? When do I send an inbound lead to the sales team? Should I wait until the prospect actively asks for live human interaction? Often, the answers are left up to automated lead scoring systems. There's a fundamental flaw to this kind of filtering. In our own telemarketing efforts, we find that even though users have only accessed one top of funnel piece of content, they are much further along in their evaluation than their action reveals. On top of this, people are inundated with marketing messages. Even the most well-crafted and targeted follow-up emails may go unopened. If we leave the customer journey entirely in the hands of the customer then we could lose out on winning their business. We assume the role of a live marketing liaison. We infuse the powers of inbound marketing with direct outreach. This process can reveal a lot of information about the true intent of the person we're following up with because they can share their experiences with us. If telemarketing follow-up is done well, you can filter your contact better than most lead-scoring systems without alienating someone who has simply downloaded a TOFU eBook. Related: Learn the importance of sales and marketing alignment, and why you need to optimize your CRM. So many of our interactions with brands these days are impersonal. It doesn't take much to imagine a future where intelligent automated reply bots chat endlessly with one another. Thankfully, marketing automation is getting smarter. Smart workflows now allow us to insert personalization and contextualization into follow-up efforts. Interpersonal follow-up emails can give your brand a personality. But while personalization is attainable, humanization takes a bit more effort. Your digital marketing plays a big role in how you brand your organization to the world. It can help point people down the right path (if they find it), but it can't interact and act as a consultant, nor guide people to the next best content piece or offer. Much like the idea of a buyer's journey liaison, there's a need to have human follow-up so that your organization can make a human connection. Follow-up telemarketing can establish a brand ambassador to help show your company in a positive light. There's a stigma sometimes associated with telemarketing follow-up to inbound responses, and we're not saying that it isn't justified. Companies often assign the wrong kinds of people to these efforts. No one has ever said, "That telemarketing call was insightful and interesting." What people hate is overly aggressive inside salespeople who push for a sale when there isn't one to be had. People hate when they get calls that try to drive them to next steps that they aren't ready for. Good telemarketing follow-up allows people who understand your brand and your business to give your company a personality and showcase one of your best assets - your people. Good telemarketing is done by people who are courteous, curious, and competent. When your brand image is at stake, you should settle for no less. 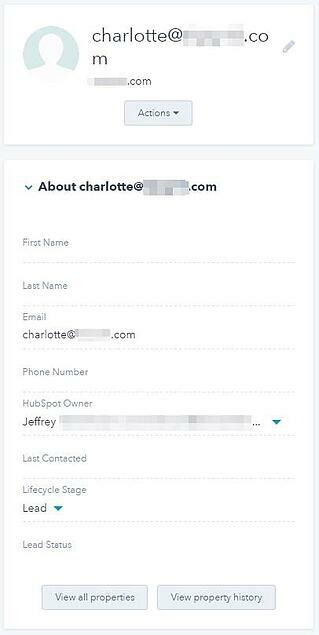 B2B CRMs are packed with names of people who filled out a form on the company's website but have NEVER talked to a sales or marketing rep. We've seen marketing automation systems that are filled with contacts in various states of stall and stagnation. When your sales team is sizing up contacts in your database, they're going to try to gauge a level of interest based on the actions the person has taken. This may lead your team to neglect someone who has only taken a single action. Many automated marketing workflows are built with one thing in mind: getting someone to the BOFU offer. There's no subtlety to these straight line workflows. The intent is transparent. The person at the receiving end of these workflows quickly realizes that the company they had interacted with isn't trying to help them with that useful eBook. They were only using it to set them up for an email about a product. Once that straight line top to middle to bottom of funnel workflow is done, they don't receive any more messages. 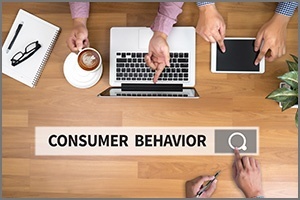 At the very least, this may make them hesitate to make a next interaction with your brand, and because of this, sales and marketing disregard the contact. Quite the conundrum. Another big reason that leads stall inside of marketing automation systems is that data records don't get completed. This happens a lot when content and offers are lightly gated. If your system only contains an interested consumer's email address, and no one ever tries to follow-up with that contact, then you may never know that you had a perfect win just sitting in your system. Consider enriching your contact data through some research. Phone follow-up can help you fill in the gaps on that contact record. Records like the one below might not give you a lot to go on, but with some research you can likely fill in most of the blanks. Telemarketing follow-up allows you to qualify your contacts and determine an engagement plan. This is best done by people who are committed brand ambassadors. A phone call follow-up shows that your business is willing to devote individual attention to prospective customers. Rather than pure selling, these follow-up engagements, especially after an initial contact touch, should be very introductory in nature. They should help rather than sell. 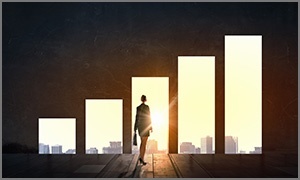 Through the course of a good conversation, a business development rep should be able to determine where someone is in the buyer's journey better than a lead-scoring algorithm. 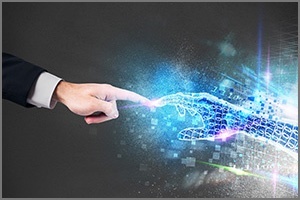 How Does Your Marketing Automation Process Stack Up? Does any of this sound like your company's marketing follow-up process? If you're waiting for your marketing automation system to pop out perfect SQL's then consider speeding up the process. Think about where human engagement could help, even very early on in the process. Don't leave this job to a part-time marketing person or intern. It's your chance to make an positive impression on your contacts. 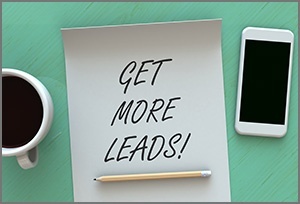 Great telemarketing follow-up can not only enrich and filter your inbound marketing database, but it can help you identify and nurture leads that you didn't even know were in there. Let's talk about ways to better follow up with your inbound marketing leads. Reach out to me to discuss setting up an assessment of your digital marketing efforts. In the meantime, click the eBook below to access your copy of Why Marketing Automation Is Not a Silver Bullet to get a more in-depth view of the importance of the digital sales professional.